Gunki BC 300 XHD Baitcasting Reel are the perfect balance between line capacity, raw power and compactness, designed for targeting hard fighting fish with medium to large baits which is perfect for pike fishing with swimbaits and big jerks. BC 300 XHD reel is so comfortable to use thanks to the compact low-profile body that sits perfectly in your hand, along with the versatile spool ratio suits a variety of lure styles without having to change retrieve speed excessively. This single piece aluminium body reel is tough featuring a bronze command gear and high precision stainless steel bearings have all been treated against corrosion and carbon-disk mullti drag powerful and progressive 9kg system. 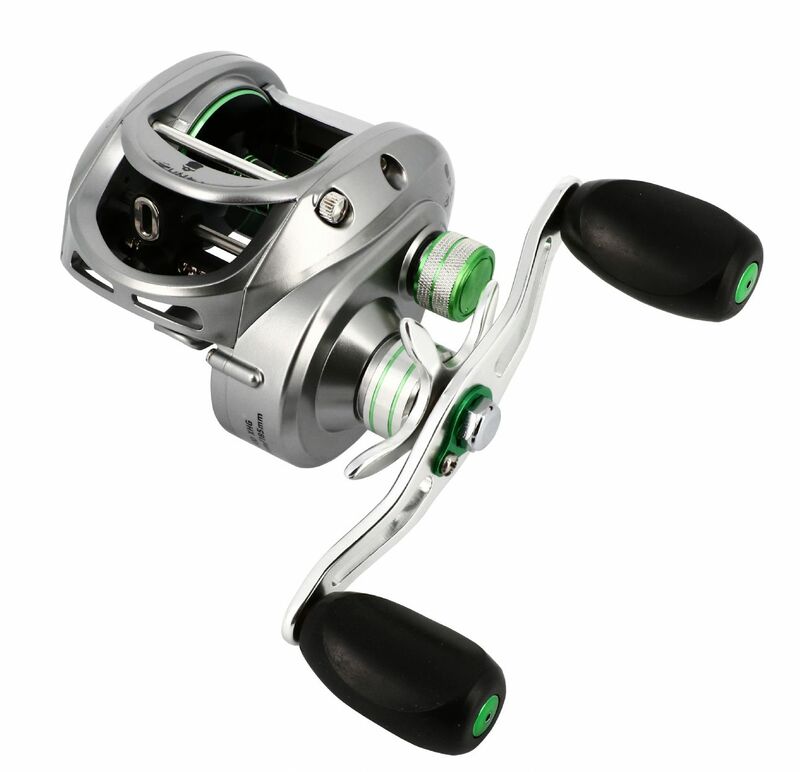 The perforated aluminium spool with the dual control centrifugal magnetic casting drag along with the ergonomic easygrip handle really puts a touch of glass the Gunki BC 300 XHD Reel. The perfect partner for Gunki IRON T CHOOTEN Powercast and Swim series of rods.